Kibaran Resources Ltd has entered into a Memorandum of Understanding (MoU) with 3D Group Pty Ltd over the formation of a strategic alliance to investigate opportunities for the application of graphite and graphene in the fast growing 3D printing market. 3D printing is a revolutionary technology that involves the creation of three dimensional, solid objects from a digital file, of virtually any shape. The 3D printing industry is evolving rapidly, with accelerating technological development forecast to drive the market value from the current US$3.8 billion to US$16.2 billion by 2018 . A key development underway is the application of graphene in the 3D printing process. 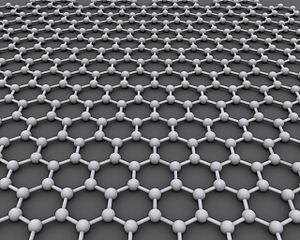 Graphene is a one-atom thick, near transparent sheet of graphite recognised around the world as stronger than a diamond and steel but is flexible, and is better at conducting electricity that copper . Graphene has the potential to significantly expand 3D printing applications and - based on the predictions of some commentators - even drive a new industrial revolution. Kibaran is developing its Mahenge and Merelani graphite deposits in Tanzania, with the aim of becoming a stable and secure supplier of natural flake graphite. Key attributes of the Company's mineralisation are a very coarse flake size, with high crystallinity and purity, all of which are well suited for the production of graphene. Under the strategic alliance, the use of expanded graphite - which has similar characteristics to graphene - will also be investigated in the 3D printing process. The Company's graphite mineralisation at the Mahenge project has been proven to possess properties necessary for the manufacture of expanded graphite (ASX announcement 5 June 2013). "3D technology has the potential to bring about a quantum shift in the way we produce new materials and products, including whole structures or individual components, in a raft of new industries. "Its commerciality has been proven with the production of car parts, jewellery, dental applications such as crowns, and there are also investigations underway to print houses for a fraction of the cost. "The strategic alliance with 3D Group positions Kibaran as a potential supplier of expanded graphite and graphene products through the mine supply chain, and creates additional shareholder value in the downstream sector. "The MOU will not deter from Kibaran's main focus of advancing its graphite projects in Tanzania, with the Company focussed on finalising the binding agreement with Richland Resources and a JORC resource upgrade expected shortly for the flagship Mahenge Graphite Project." The 3D Group strategic alliance will complement Kibaran's existing alliance with the European market through its binding partnership with a European graphite trader. In particular expanded graphite, with its excellent conductivity, is increasingly being used in the manufacture of thermally conductive building panels that allow air-conditioning and heating systems to operate more efficiently. This new technology is being driven by stricter building codes that demand the use of energy efficient building parts. "The technology is being driven out of Europe with ThyssenKrupp and SGL Group leading the field in research and development work, and commercial applications," Mr Spinks said. "The potential growth of expanded graphite in the emerging thermal market is significant, and is considered to be on par with the use of graphite in the fast-growing battery market. "Kibaran is well placed to capitalise on these market trends, with expanded graphite a highly sought after commodity and demanding a premium price to graphite."